Only the most basic form of DNA analysis is scientifically reliable, the study indicates. Some forensic methods have significant error rates and others are rank guesswork. “The prospects of developing bitemark analysis into a scientifically valid method” are low, according to the report. In plain terms: Bitemark analysis is about as reliable as astrology. Yet many unfortunates languish in prison based on such bad science. Yet many unfortunates languish in prison based on such bad science. Even methods valid in principle can be unreliable in practice. Forensic scientists, who are often members of the prosecution team, sometimes see their job as helping to get a conviction. This can lead them to fabricate evidence or commit perjury. Many forensic examiners are poorly trained and supervised. They sometimes overstate the strength of their conclusions by claiming that the risk of error is “vanishingly small,” “essentially zero,” or “microscopic.” The report calls such claims “scientifically indefensible,” but jurors generally take them as gospel when presented by government witnesses who are certified as scientific experts. 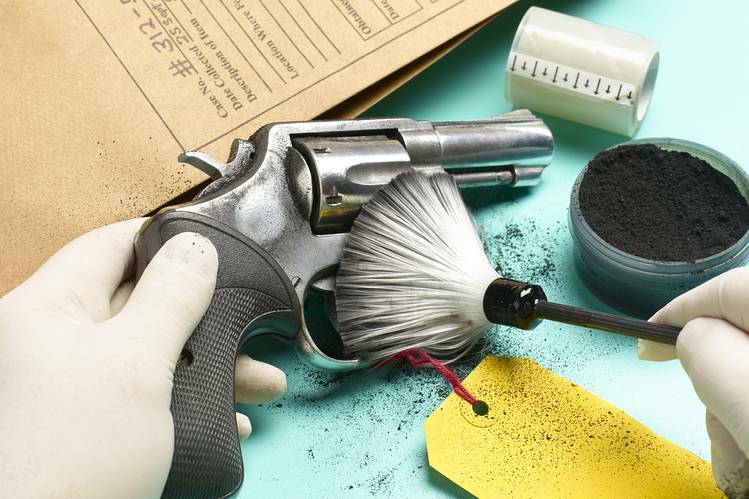 Problems with forensic evidence have plagued the criminal-justice system for years. Faith in the granddaddy of all forensic-science methods—latent fingerprint comparison—was shaken in 2004 when the FBI announced that a print recovered from the Madrid train bombing was a perfect match with American lawyer Brandon Mayfield. Spanish authorities promptly discovered that the print belonged to someone else. Doubt turned to horror when studies revealed that certain types of forensic science had absolutely no scientific basis. Longstanding ideas about “char patterns” that prove a fire was caused by arson have been discredited. Yet at least one man, Cameron Todd Willingham of Texas, was executed based on such mumbo jumbo. The PCAST report recommends developing standards for validating forensic methods, training forensic examiners and making forensic labs independent of police and prosecutors. All should be swiftly implemented. Preventing the incarceration and execution of innocent persons is as good a use of tax dollars as any. The report will also immediately influence ongoing criminal cases, as it provides a road map for defense lawyers to challenge prosecution experts. As for past convictions obtained through discredited methods, the outlook remains grim. A 1997 Justice Department inspector-general report impugned 13 FBI lab examiners involved in more than 7,600 cases, including 64 capital cases. But, as John Malcolm of the Heritage Foundation points out, a 2014 Justice Department inspector-general report shows that only 312 of these cases had been reviewed in the past 17 years. Federal courts can’t much help either. Setting aside wrongful convictions has become exceedingly difficult under a 1996 law called the Antiterrorism and Effective Death Penalty Act, which severely limits the ability of federal courts to review state-court decisions. Congress should amend the legislation to authorize swift federal relief to prisoners who make a convincing showing that they were convicted with false or overstated expert testimony. Among the more than 2.2 million inmates in U.S. prisons and jails, countless may have been convicted using unreliable or fabricated forensic science. The U.S. has an abiding and unfulfilled moral obligation to free citizens who were imprisoned by such questionable means. If your son or daughter, sibling or cousin, best friend or spouse, was the victim of voodoo science, you would expect no less.